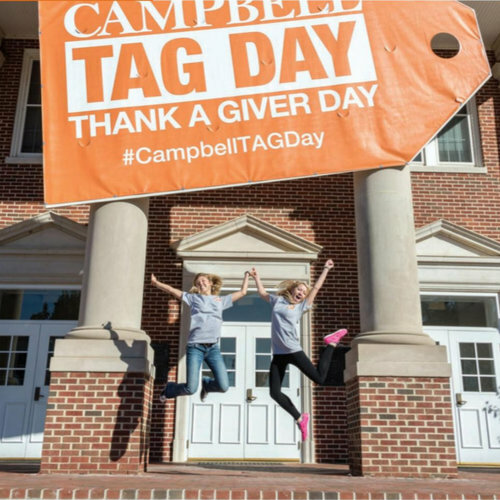 BUIES CREEK — Campbell University’s Office of Advancement won two CASE Circle of Excellence awards for its work on the 2014 Thank-A-Giver (TAG) Day. Campbell’s two bronze awards — the school’s first in the annual international contest of the Council of Advancement in Secondary Education — were the University’s first at this level, competing against more than 625 higher ed institutions, independent schools and nonprofits from around the world. Campbell has won a combined 20 CASE awards at the district level (the nine-state Southeast region) over the past four years.